A makeup/ hair trial is a trial session which will give the bride confidence in how she will look on her wedding day. 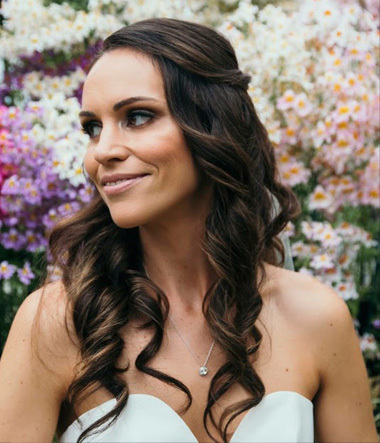 As a team of professional make-up artists/ hair stylists, at Serenity Makeup we understand that every bride wants to look radiant and beautiful on her wedding day, which is why it is a great idea to book in for a wedding trial ahead of your wedding date. Wedding trials are a great opportunity to talk to your makeup/ hairstyling artist and find the right look to complete your overall vision. What is your wedding style? Let your artist know your style of bridal gown and jewellery, also the colour theme of your wedding and flowers. This will help ensure that your final look represents your overall vision. Make a scrapbook. Look through magazines or print images off the internet of makeup/ hairstyles that you are drawn to. Keep them together or make a scrapbook so you can convey easily your style of makeup/ hairstyling that you like. If you are not sure, a Serenity Makeup artist can talk through some options so both yourself and the artist can decide on your perfect bridal makeup look. If you are also having a hair trial, make sure you wash your hair the day before the trial and turn up with hair completely dry. If you have hair mousse, we ask if you can please apply the mousse to towel dryed hair before drying off your hair. If you have naturally curly/ frizzy hair, you must come with it smoothed out (either blowdryed or straightened, otherwise it will be an extra $30 to smooth your hair before styling. 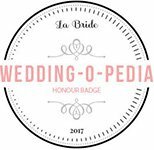 Please bring any bridal clips/accessories that you want to use in your hair if you have them. Often it is best to have your trial done alone or have just one other person with you for an opinion. It’s a trial for your special day, so you don’t want the opinions of others confusing the style of makeup/ hair that you are wanting. At the trial, have with you either a sample of your wedding dress fabric or wear a top that is close to the colour of your wedding dress. This way you can see how the makeup will look against the colour of your dress. Although having a trial may mean putting additional cost onto an already stretched budget, it will be well worth it for your makeup/ hair to look exactly as you want it to on your special day. Remember, this is an exciting time for you so just have fun and let Serenity Makeup create your perfect wedding day makeup and hair look! !